Greenbackd turned two on 1 December. Over the last two years the site has racked up 526 posts; 2,224 real comments; and 35,898 spam comments (no kidding). One of the best things about living, breathing and writing about deep value for two years is that Greenbackd now contains a great trove of research (from both academia and industry, a distinction that is important for a reason I’ll come to shortly) that, if properly collated, should yield some interesting insights. The only problem is that all of the research is buried in Greenbackd’s 526 posts, most of which are forgettable, regrettable, or both, and some were never published drafts that I held back (I take the Jack Welsh “decile” approach to posting and strangle about 10% of the posts in the crib. I know it’s hard to believe that some articles weren’t good enough for even my low standards, but imagine how much worse it could have been). This boils down to Jameses Montier and O’Shaughnessy versus the world of academia, most notably Lakonishok, Shleifer, and Vishny. For me, this is cognitive dissonance defined. Aswath Damodaran also has some interesting contributions on this topic. Second, some real-world received wisdom in value is no wisdom at all (or at least, that is what the data tell us). I’ve spent a great deal of time backtesting various value metrics. Some work; some make no difference at all; and some destroy value. Some great men of value investing promote these metrics, and that is why they persist. I’m not interested in “good” metrics, which I define as those that beat the market over the long run. I’m interested in optimal metrics; those that consistently beat the other metrics in the real world. I hope and assume that you are too. 2. The relative merits of quantitative and qualitative strategies in stock selection and portfolio construction. This is a justification for a systematic approach to investment. I believe that this particular event has been run and won by the quants, although my definition of “quant” hews more closely to Montier’s, O’Shaughnessy’s and Philip Tetlock’s definition than Scott Patterson’s. A good process-driven approach to long-only equity investment should and does provide a very good outcome. I think a good process is an austere Tetlockian algorithmic approach, which is in practice a screen that is very difficult to pass, but yields a high proportion of winners in the companies that do pass. Piotroski’s “F-Score” is an excellent example of such an algorithm (even though I don’t personally like it or use it for philosophical rather than practical reasons I’ll discuss at some later date). Assuming a company has a 50/50 chance of passing any one of the Piotroski F-Score algorithm’s 9 binary “gates,” only 1/(2^9) or about 0.2% will pass. When combined with a low decile price-to-book approach, the investable universe is very small indeed. In practice, only a handful pass the screen at any time, but those that do pass perform very well (see, for example, the Piotroski screen on the American Association of Individual Investors website). 3. The methods by which a portfolio can be made “robust.” This is perhaps the most esoteric of the subjects, and also the most interesting. There is a tension between portfolio theory suggested by the efficient markets hypothesis, real-world portfolio construction under the Kelly Criterion. I also think that Nassim Taleb’s thoughts on risk are useful to this discussion. The key to investing, as it is to many things, is to stay in the game. Once your stake is gone, there’s no way to come back (unless your investors don’t know the difference between the geometric and the arithmetic means, in which case just show them the arithmetic mean of your annual returns and party like it’s 1999). For this reason, I spend a lot of time agonizing about the ways that my fund can blow up. I’m not worried about the Rapture, the collapse of western civilisation, CERN’s Large Hadron Collider actually bringing a black hole into existence, or the Mesoamerican Long Count calendar being accurate. (I’m not worried because if any of these things occur we’ll likely have bigger problems than investment returns.) The Austrian economist in me is, however, worried about lots of other things. I think Nassim Taleb’s key insight is that we don’t need to any specific event to be foreseeable to know that we should be prepared for the occurrence of some event. History teaches us that the hundred-year storm rolls around much more frequently than its name would suggest. While the central thesis is narrow, to do it justice the book will have to canvas a broad range of issues in behavioral and value investing. Some of the topics that are central to this project haven’t yet been written, and so they will be created in the interests of completing the project. The new format for Greenbackd means that I’ll be posting less frequently, but when I do post they’ll be longer chapter essay-style posts, and I’ll be avoiding (for the most part) current events. Thoughts and comments are most welcome. Fantastic blog, fantastic post. I’m especially grateful that unlike some other great blogs you have not chosen the expensive subscription route that freezes out individual investors like me. Once your stake is gone, there’s no way to come back (unless your investors don’t know the difference between the geometric and the arithmetic means, in which case just show them the geometric mean of your annual returns and party like it’s 1999). The last geometric should be arithmetic, methinks. That’s a little embarrassing. Thanks for the heads up. These strategies will always involve math, but even if the math is extremely simple, I still believe the strategy can be called quantitative. Well, what I want is well above average businesses trading at well below average prices. Looking forward reading your book! Embarking on my own self-education. Thoroughly enjoying your site and would be interested in your book. I think this would be a valuable book and I will likely buy it from you if reasonably priced. Given the availability of pdf technology and the relatively clubbish nature of the audience, I doubt you need to involve a publisher. I also applaud the idea of approaching strategies that have been examined by academics from the point of view of the practitioner. Hi. I post under twacowfca on the corner of berk board. Congratulations on the excellence of Greenbacked. WEB identifies what worked the very nest for him with a 95% success rate in one of his 1968 letters: buying companies below their value ( probably way below their value) to a private owner. This has worked well for us too. Our returns have been > 30%/annum for the last ten years. A third thing that works well is to buy companies that are relative bargains, compared to similar companies when there is a catalyst such as a spinoff to unlock the value. A la Joel greenblatt in his first book. I will most definitely buy this book if/when it comes out. 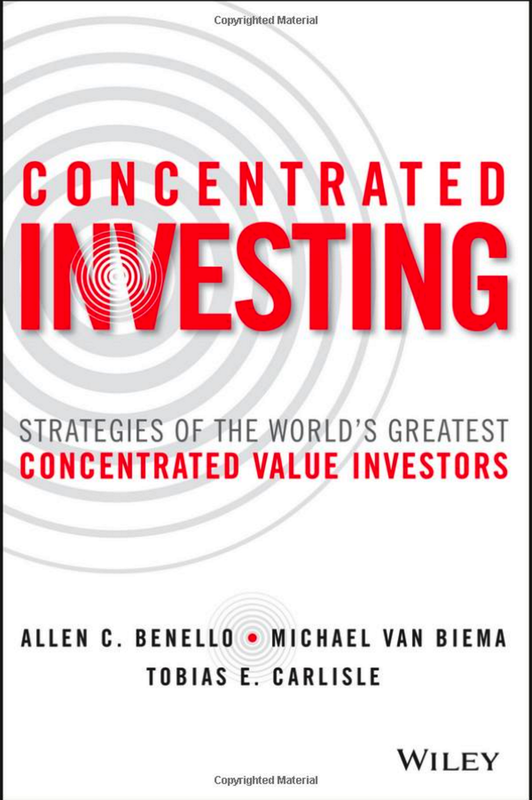 It will easily be the best book on deep value investing! I look forward to your insights as I have all of your posts. And for what it’s worth, I will be happy lend a hand in editing. Just a comment on F-scores: The probability of passing 9 gates, each with 50/50 chance, is 1/(2^9), not 1/(9^2). The factors in the p- score are not independent but generally related to the financial health of a company. I’ve also been test various value fundamentals over the past few months. 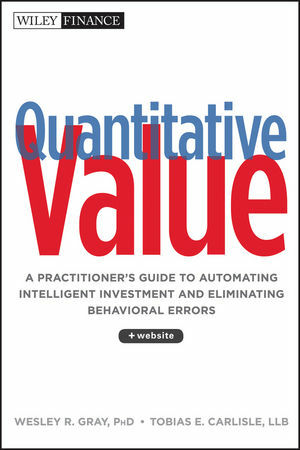 I like where you are going with your book idea on quantitative value investing strategies. I’d be more than happy to collaborate with you. I recently posted about the potential for using Graham and Shiller’s PE10 concept to screen stocks (See Graham-Dodd-Shiller 10 Year PE Ratio Stock Screen). I’ve also been experimenting with focusing on stocks with very predictable free cash flows over the past 7-10 years using R-squared and I have a modified Piotroski’s “F-Score” screen that seems to work better than the original. I’d be more than happy to help you test other ideas. Feel free to contact me. For what it’s worth, I’ve found Tortoriello’s “Quantitative Strategies…” to be much more helpful than O’Shaughnessy. Check it out. Sounds fantastic! I heartily encourage you! Congrats, In all honesty I can’t wait to dig in! Imho it takes balls of steel to throw your hat in the ring and attempt to write something both worthwhile and original (and fwiw, I can’t tell you how much i respect that). As someone who has read your site for a long time but never commented, I think your idea is great and I hope you get a book deal – as the previous poster said, there is plenty of garbage on the investing bookshelves. Here’s to changing that. Great idea, I think you should be able to get to a publisher, hit up Wiley Finance or Palgrave. There are so many BS value books out there that just piggy back off WEB or are flat out garbage about buying a good business at a reasonable price. I expect that your book could conclude through various data/empirical tests that we are actually even better off buying mediocre to horrific businesses priced to insane cheapness. Plus I think the focus on quant too would help. Many value books emphasize management, mgmt to me is usually worthless at best to generally a negative value for most other companies. “we are actually even better off buying mediocre to horrific businesses priced to insane cheapness.” Bingo. That’s my thesis in a nutshell. No need to buy the book now. Awesome. ‘Cigar butts’ are what we want! Let’s hope that they are, as Mr Graham would say, ‘fattening to the pocket-book’. Sounds interesting. I follow your posts regularly and look forward to see what you come up with. Best of luck!